14 years online, feeder.ro acts as Romania’s alternative media agency. We’re celebrating with a selection of 14 interviews that shed light on motivation, process and perception in the arts. Because we really want you to know. the local to the international creative scene. feeder insider e-Book is now available for online reading. Miss Kittin [NobodysBizzness], Subb–an [One Records], Saint Machine, Aeul, Alexandra [Melliflow], Denis Kaznacheev [Nervmusic], Mona Nicoară [fARAD], Butch [People & Machines], Erwin Olaf, Hedof, Simina Grigoriu [Kuukou Records], Livio & Roby, Francesca Lombardo [Echolette] and Livia & Reg. Download the e-book as a .pdf and read it anywhere! 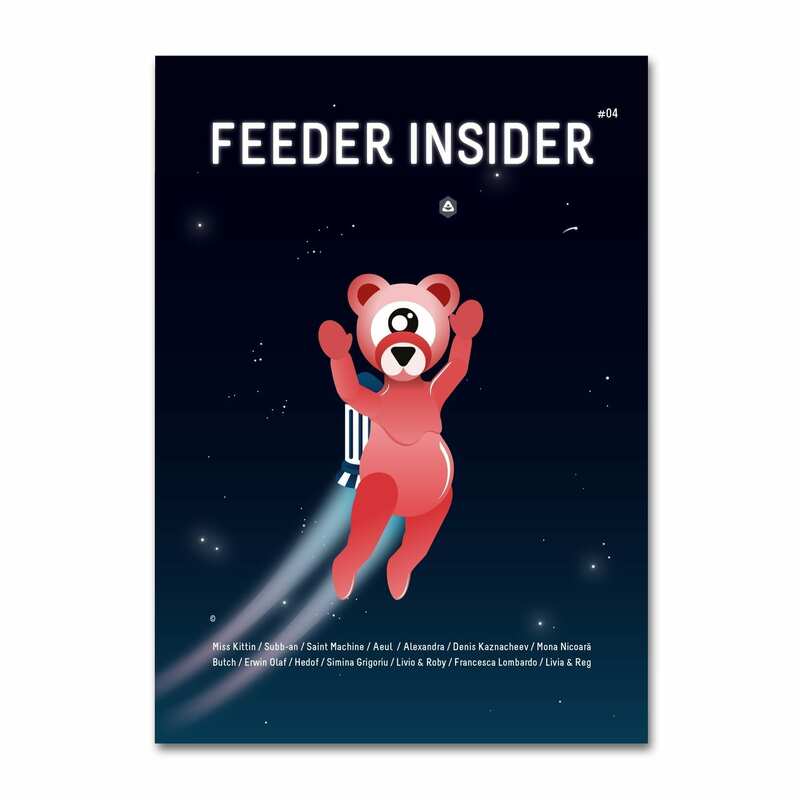 feeder insider is a series of interviews published weekly on feeder.ro. The interviews explore the universe surrounding music and visual arts while connecting the local to the international creative scene. In order to expand the dialogue between the Romanian public and the artists we love, we’re sparking off inspiring conversations around today’s artistic landscape with newcomers and veterans alike.